Tonight’s episode of Watch What Happens Live featured a pretty laid back Sonja Morgan and an always adorable Fredrik Eklund. Amy Schumer was originally scheduled to be there with Ramona, but Amy had a throat issue and is hoping to make an appearance next week, where Ramona is now scheduled. 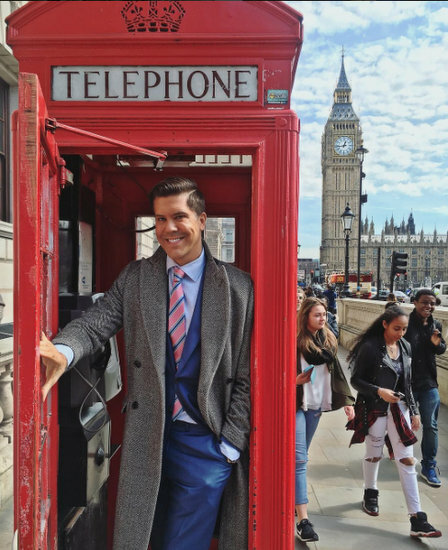 Fredrik Eklund Is Moving; Wraps Filming For Million Dollar Listing: NY And Does Biggest Deal In NYC Last Week! Fredrik Eklund‘s career is soaring higher than a NYC skyscraper. 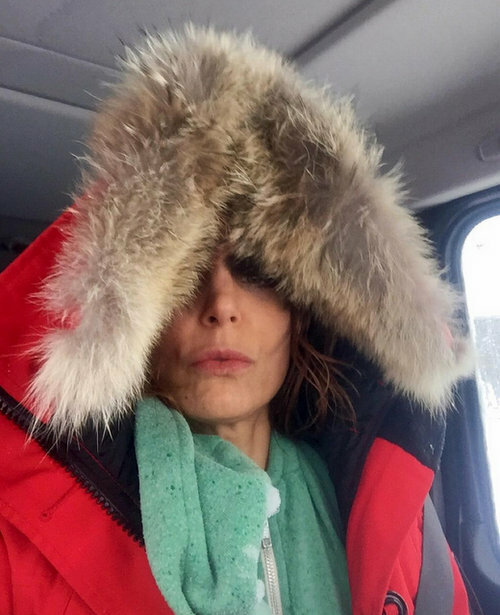 The Million Dollar Lising: New York star has had a meteoric month which included moving to a new apartment, buying a country home, wrapping filming for season 5, and doing one of biggest deals of his career. Whew – and I thought I was busy … HA! Somewhere… Ryan Serhant is bashing his head against a wall… (sarcasm) while Fredrik is high kicking all the way to the bank! Last year Fredrik and his husband Derek Kaplan had several ups and downs and apparently decided it was time for new beginnings. Who’s the luckiest little boy in the world?! Well, this week, Derek Kaplan‘s son Kai is definitely in the running! Confession Time: I am guilty of stalking Million Dollar Listing New York stars Fredrik Eklund and Derek Kaplan on social media. But seriously, from the breathtaking views (um, of their travels and of the hot artist) to the inspirational stories, can you blame me?! This week, I was happy to see Derek’s son, Kai, again. Kai joined Fredrik and Derek on vacation in Greece in August, and ever since then, I’ve been hoping to see him again soon because he is seriously the cutest little boy. Check out a few pictures of Kai‘s week in New York City with Derek and Daddy Warbucks, I mean, Fredrik below. The reality TV viewer numbers are in – and it’s another win for the Kardashian-Jenner clan. The two-night Keeping Up with the Kardashians special About Bruce attracted 2.915 million on Sunday and 2.554 million on Monday. The week was also good for Kandi’s Ski Trip, which garnered 1.457 million viewers, and Love & Hip Hop Atlanta, which logged 3.124 million viewers. Not nearly as lucky in the viewers department were Real Housewives of New York, Million Dollar Listing New York, and Shahs of Sunset – the RHONY slipped down to 1.089 million, Million Dollar Listing New York continued its downward spiral with just 750,000 bothering to watch this week, and only 1.077 million watched the much-hyped, super-sized Shahs of Sunset. Check out the list below to see how the rest of your favorite shows fared the week. The reality TV viewer numbers are in. NeNe‘s breakdown on part three of the Real Housewives of Atlanta reunion attracted 2.588 million, which was down 794K from part one, and season 7 finished with an average of 3.12 million. For comparison’s sake, part three of the season 6 reunion logged 4.29 million viewers and the season 6 average was 3.87 million viewers. While the decline is troublesome, IMHO, Real Housewives of Atlanta still brings more viewers to Bravo than the others in the franchise. Case in point: this week’s episode of Real Housewives of New York attracted just 1.385 million viewers. Also this week, Shahs of Sunset remained steady with 1.131 million viewers, Million Dollar Listing New York slipped down to 818,000, and the Dance Moms reunion attracted 1.207 million viewers, bringing the season average to 1.55 million. Look below to see how the rest of your shows fared the week. The reality TV viewer numbers are in and ready to be analyzed. Teen Mom OG saw its third increase in a row with 1.855 million tuning in this week. The mid-season finale of Dance Moms garnered 1.451 million viewers, bringing the season five average to 1.57 million viewers. For comparison’s sake, the season four finale attracted 1.619 million and the season average was 1.84 million. Also this week, 2.831 million fans watched part two of the Real Housewives of Atlanta reunion, 2.650 million tuned in to Love & Hip Hop Atlanta, which is down 895,000 since the season four premiere just three weeks ago, and 1.310 million viewers checked out Dorinda‘s party on the Real Housewives of New York. Take a look below to see how the rest of your favorite shows are doing.